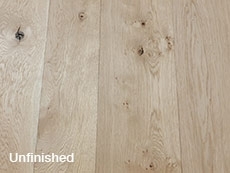 Traditional Oak Flooring embodies all the attributes of traditional Oak floors: wide boards, long lengths and beautiful features. 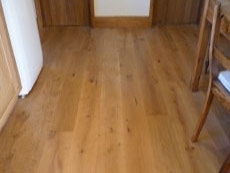 Traditional flooring is available in widths from 140mm up to an amazing 300mm wide, and will have a mix of Rustic and Character Grade features such as large and small knots and small bark pockets. It is supplied without underside stress grooves. These are advised on 240mm + boards, and can be added at no extra cost.